To be secure you have to think like a hacker. This course covers penetration testing, how much hacks cost, evolving threats, information gathering, scanning, enumeration and finishes with tools that hackers and you can utilize to gather information. 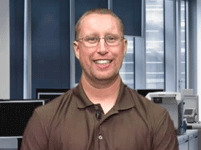 Tim one of the World&rsquo;s leading trainers in technology, <br />networks, virtualization and, applications. He has been a technical trainer and consultant for security and virtualization for the past 25 years. He has 29 industry technical certifications from CISCO, Microsoft and Novell. Tim has been a noted speaker at many industry events such as Infosec World 2010, Innatech and GISSA. He is a contributing author of VMware vSphere and Virtual Infrastructure Security Securing ESX in the Virtual Environment. Duane has been working in the IT industry for over two decades. He has primarily focused on security related matters such as Penetration Testing and Forensics. He has appeared as an expert witness in multiple court hearings on IT related matters. Duane has worked for or with most US and some foreign military branches, U.S government agencies, banking and regulatory industries and Fortune 500 companies. Duane contributed to the coordination and execution of IT counter-hacking &amp; security courses for the US Marine Corps, US Army, US Air Force, U.S. Treasury, Sprint, IBM, Washington Mutual and Service Canada.